Apple recently introduced the new 2018 9.7-inch 6th Generation iPad, featuring Apple Pencil support. We are pleased to confirm that our Model F4 iPad carry case with shoulder strap is fully compatible with the new 2018 9.7-inch iPad. 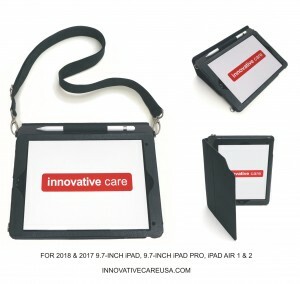 To purchase this stylish, rugged and durable iPad case, please visit this link.